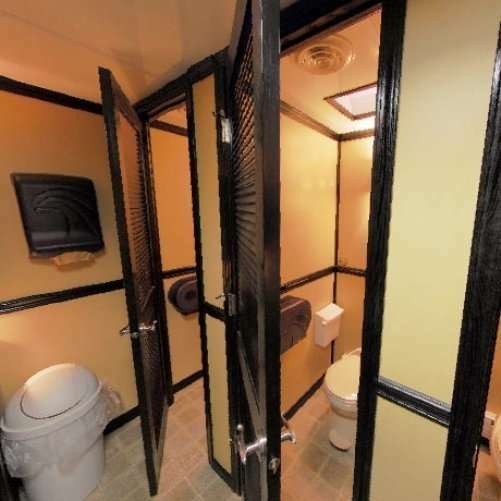 Kentucky Derby 2011 – Check Out The Bathroom Trailer! I’m not afraid to admit it – I loves me a good lookin’ bathroom! 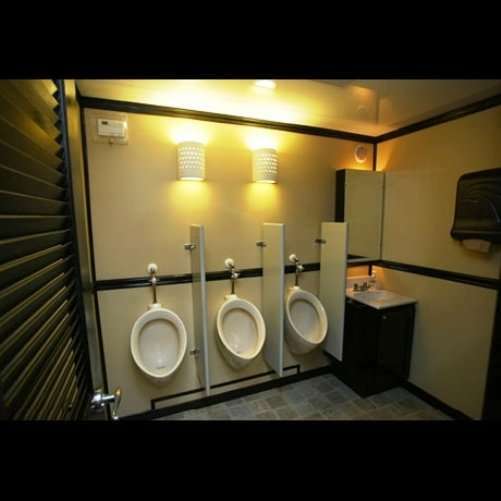 I’ve spoken of my admiration for bathrooms before…..
No bathroom is safe from me – I check them out everywhere I go; you never know when you’re going to come across an extra cool one. 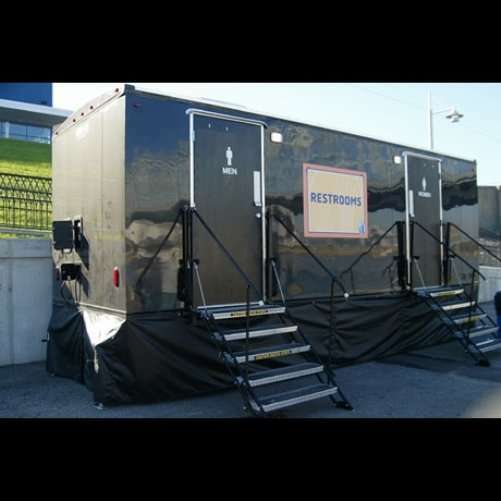 Case in point, the bathroom trailer at this weekend’s Kentucky Derby. It’s a bathroom worthy of an elegant pool house, and it’s in a friggin’ trailer! Here’s how the math breaks down — according to a sales rep for the Derby, 7 companies paid $450,000 each for a spot in the swanky Trackside Village on Turn One … where toilet experts posted up 2 VIP restroom trailers. That’s $3.15 million total for all the companies. Trackside Village’s capacity is capped at 175 people — and $3,150,000 divided by 175 equals $18,000 a person. Sure, that figure also includes catering and drinks … but let’s not kid ourselves … the toilets are obviously the main attraction. 50 queries in 0.619 seconds.